"All the women are strong, all the men are good looking, and all the children are above average." 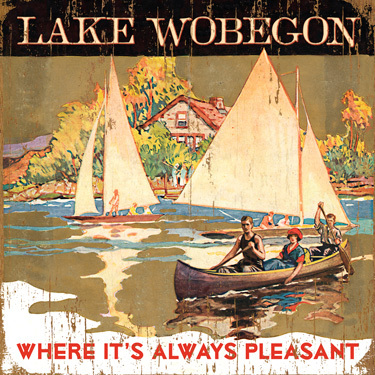 I was listening to Garrison Keillor's "A Prairie Home Companion" last Saturday and thought to myself that a lot of his tales from Lake Wobegon apply directly to venture right now. The Lake Wobegon Effect depicts a real human tendency to overestimate one's achievements and capabilities in relation to others. This seems to apply directly to the venture industry right now, where everyone's current or last fund is at a 2.0x and everything seems to be going up and to the right. However, the last time the upper-quartile Cambridge Associates DPI benchmark was above 2.0x was 1997! TVPI and IRR benchmarks look strong for the intervening years, but venture funds (per the benchmarks) are still not returning more capital than they're investing. There has been a lot reported on the rise of the private IPO, which of course aren't liquidity events, and there were only four tech VC-backed IPOs in Q1 2015 and 74 of the 115 venture-backed IPOs in 2014 were healthcare (biotech and devices). I think we're delusional to think that it's always pleasant because until the 211 companies that raised $40 million or more last year get sold or go public, not all the performance metrics are strong, not all the benchmarks are good looking and not all the exits are going to be above average. When the summer ends and all the tourist investors in venture-backed deals leave the coast and return to their lives behind a trading desk at the hedge funds, mutual funds and sovereign wealth funds of the world, I'm not sure that we're going to be happy with Lake Wobegon's shoreline. I think we'll see valuation erosion and as a result fewer people buying lakefront property along the shores of venture's high-priced Series Cs and Ds. So what can we do about it? If you're a CEO or early stage board member, you might only take a term sheet from an investor who is long-term greedy and gets paid in ten years and doesn't get paid on one-year investment performance like the hedge/mutual funds of the world. If venture is an apprenticeship/relationship business, don't take money from people who view their investment with you as a transaction. Take money from people not computers. Be long term greedy and not short term greedy. Venture capitalists and venture capital firms take a long time to die, but hedge fund/mutual fund guys hop jobs and funds with as much volatility as the markets.